This mod adds most of the music from Enderal's amazing soundtrack to Skyrim! When I first played SureAI's amazing game/mod, Enderal, I automatically wanted to look for a mod that adds its beautiful soundtrack to the base game, but nobody had done it! 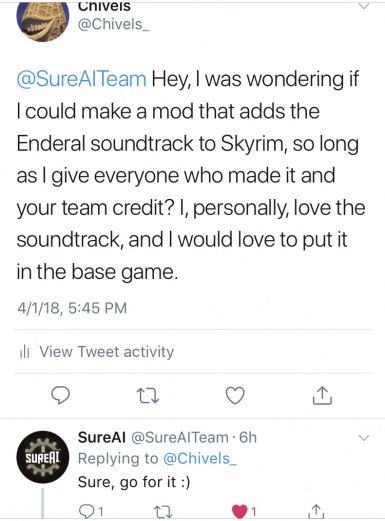 A while ago, I taught myself how to make music mods with the help of another mod called "Personalized Music" (link will be included later in the credits), so I took it upon myself to ask SureAI themselves if I could make a mod that adds the Enderal soundtrack to Skyrim, and they responded with "Sure, go for it :)", so I made it in a few hours with a .bsa unpacking program and a .xwm file converter. (Links will be with the credits.) 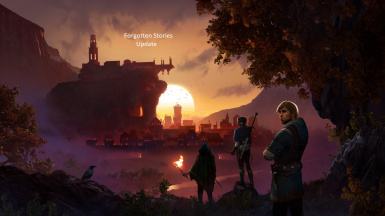 Now, several months later, Enderal released their Forgotten Stories DLC, which adds some new music into the game to go along with the new quests, characters, and worldspaces that are added by the DLC. I have added those songs to my mod, and I have made my mod NMM/Vortex friendly by adding my own .esp file (more info available under the installation section). My .esp file is just a renamed version of Personalized Music's, so you cannot have both .esps at the same time. As a result, if you plan to use any other Personalized Music mod, you'll either have to uninstall that one, download mine, and add in its files manually or vice-versa. If you do not know how to do this, refer to the old video tutorial I made for this mod; it will still be on this page. In the permissions section on Personalized Music's page, it is clearly stated that modders can use the mod's assets. Enderal has a BEAUTIFUL and emotional soundtrack. The songs cover a wide variety of moods and settings. Some songs are upbeat and cheery while others are downright depressing. 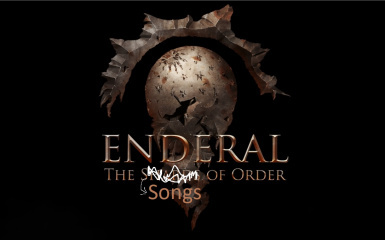 Those of you who have played Enderal know some of the songs I refer to when I say "depressing." -I did not add EVERY song from the soundtrack. I have added approximately 85% of the songs because some are just sound effects for discovering places, death, etcetera. Soft requirement: all official Skyrim DLC. If you do not have the DLCs, then just delete any files associated with them. VERY IMPORTANT THAT YOU READ THIS!! My .esp file is just a renamed version of Personalized Music's, so you cannot have both .esps at the same time. As a result, if you plan to use any other Personalized Music mod, you'll either have to uninstall that one, download mine, and add in the old one's files manually or vice-versa. If you do not know how to do this, refer to the old video tutorial I made for this mod; it will still be on this page. In the permissions section on Personalized Music's page, it is clearly stated that modders can use the mod's assets. If you are using an old version of my mod, please delete all of the old mod's files before installing this. -Personalized Music- For the functionality and the use of its assets. -And you- for taking the time to check out my mod!